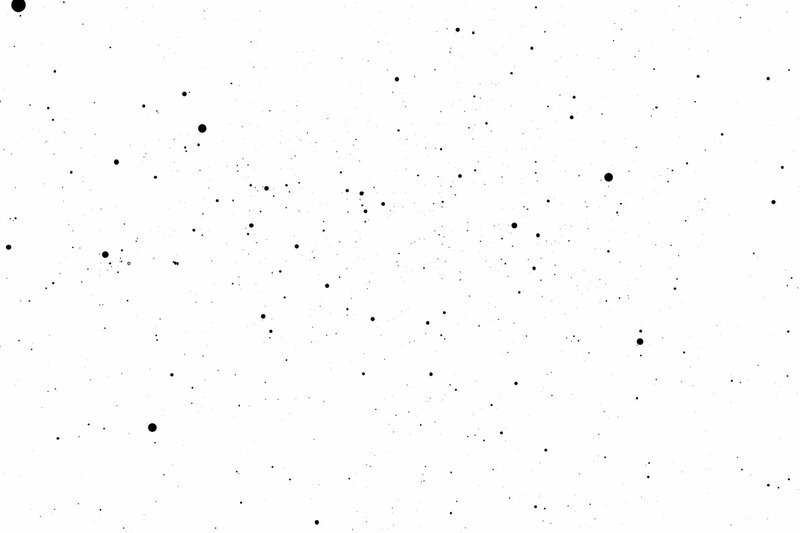 New SkySafari 6 for iOS! Subscribe below to be notified of SkySafari, SkyFi & SkyBT promos! 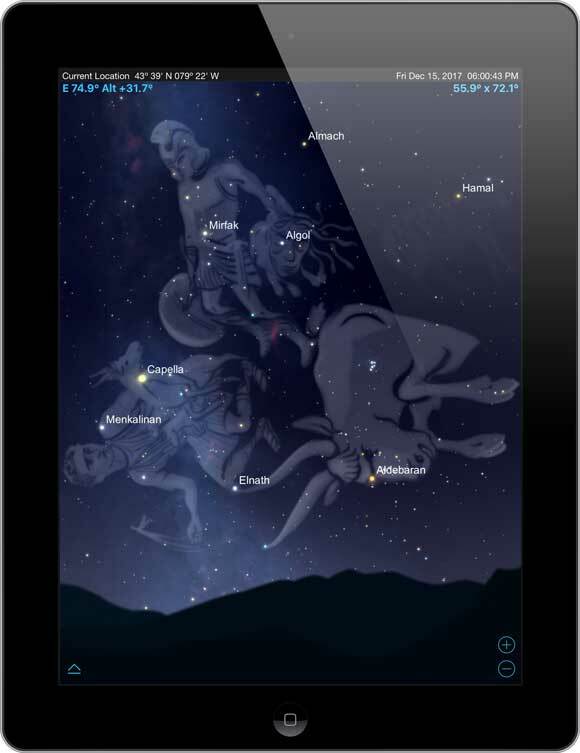 SkySafari can help you identify stars, planets and constellations by holding your up phone up to the sky - as you move the phone around, the sky chart follows your motion. 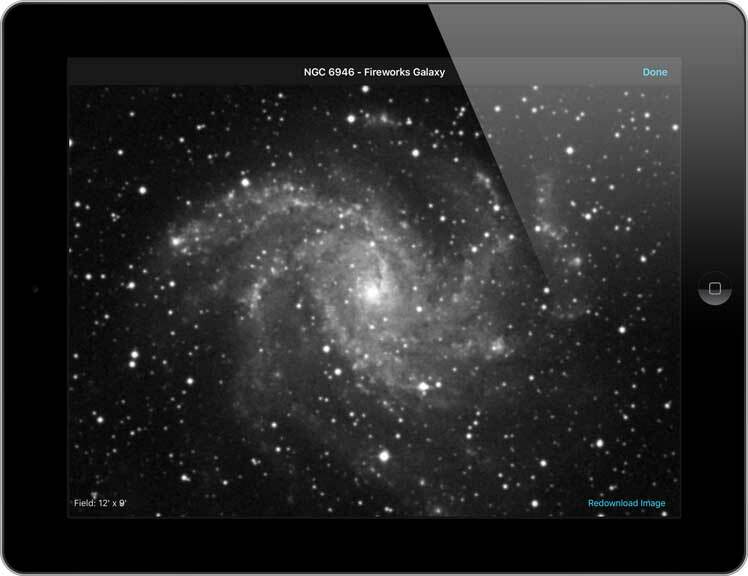 Hundreds of images from NASA space missions, the Hubble Space Telescope, and the world's foremost astrophotographers. 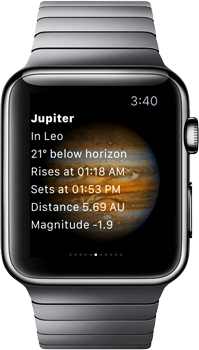 Computing the positions of solar system objects to sub-arcsecond precision with the latest JPL planetary ephemerides. 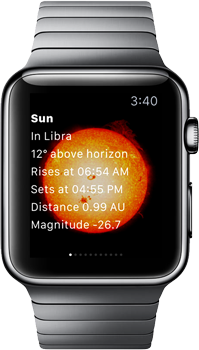 SkySafari 6 shows you 120,000 stars, 222 of the best-known star clusters, nebulae, and galaxies in the sky; including all of the Solar System's major planets and moons, and more than 200 asteroids, comets, and satellites. 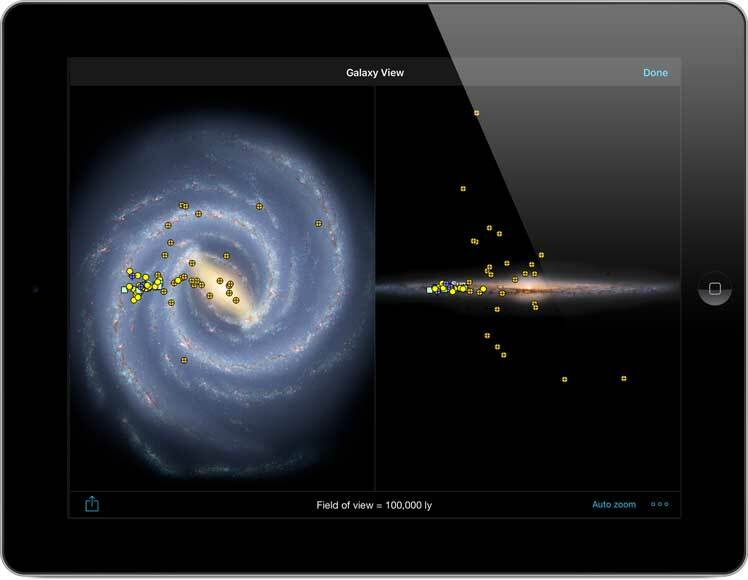 SkySafari 6 Pro includes over 100 million stars, 3 million galaxies down to 18th magnitude, and 750,000 solar system objects; including every comet and asteroid ever discovered. 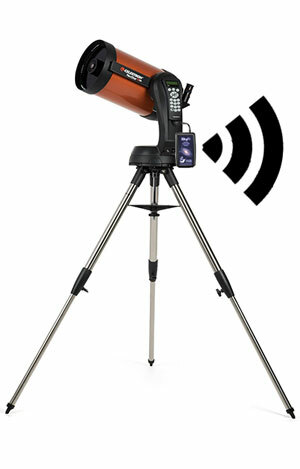 * Plus, state of the art mobile telescope control. 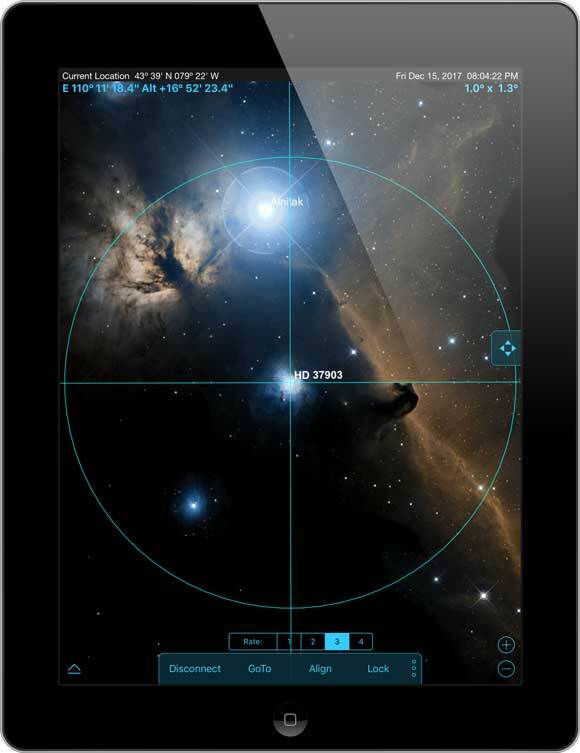 With a free signup you can view & share your observing data from LiveSky.com. ** Affordable premium memberships allow for web editing & data management. 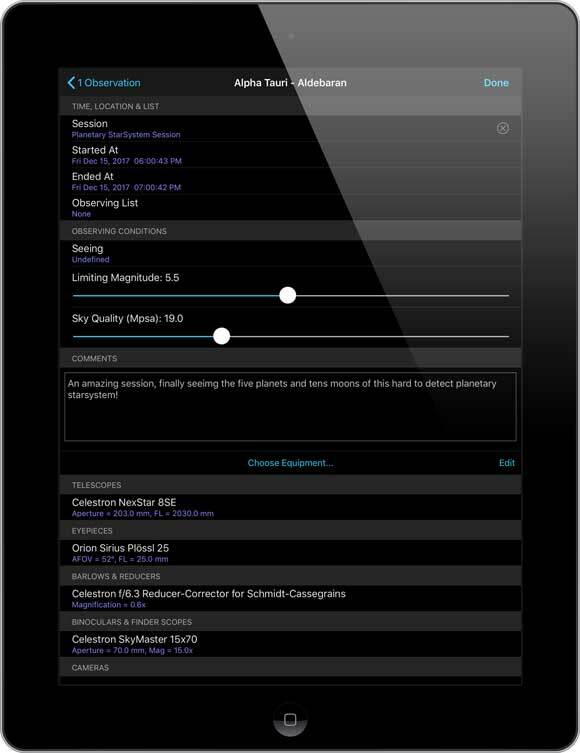 * Largest mobile database requires in-app purchase of UCAC5 & PGC database extensions - only available in SkySafari Pro. 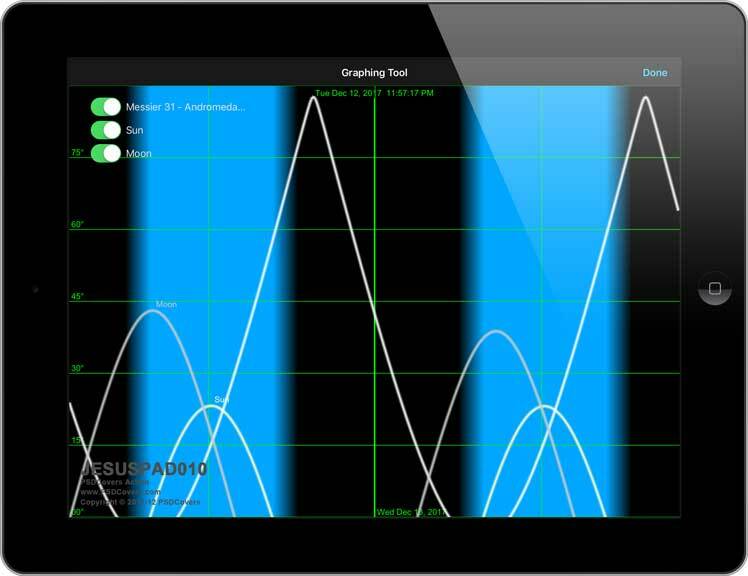 ** LiveSky viewing/exporting/sharing of user data is FREE. LiveSky web editing of user data requires affordable premium membership. 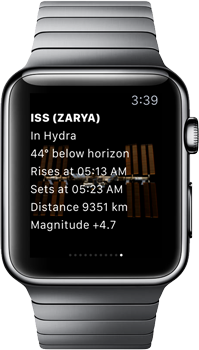 "If you have even the slightest interest in what you can see and learn in Earth's sky, this [SkySafari 5] is one of the very best iOS apps you'll ever use." 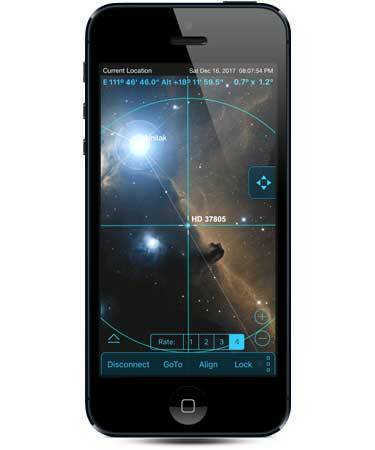 SkyFi can wirelessly enable almost any Go-To telescope with a standard USB or RS-232 serial interface. All you need is the rs232 cable supplied by the manufacturer. SkyFi is very compact, barely larger than an iPhone. 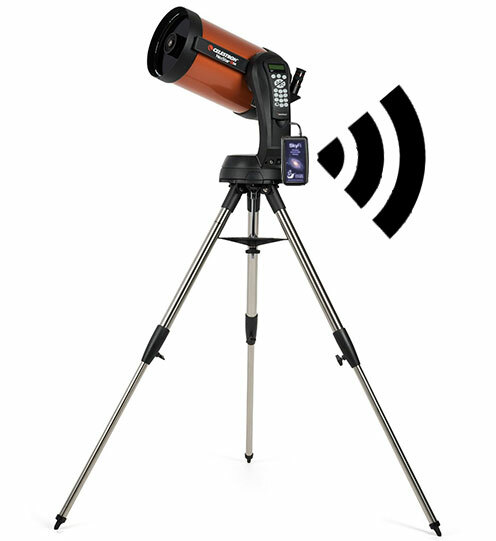 It can be easily attached to your telescope's mount or tripod; a strip of double-sided Velcro is included for that purpose. 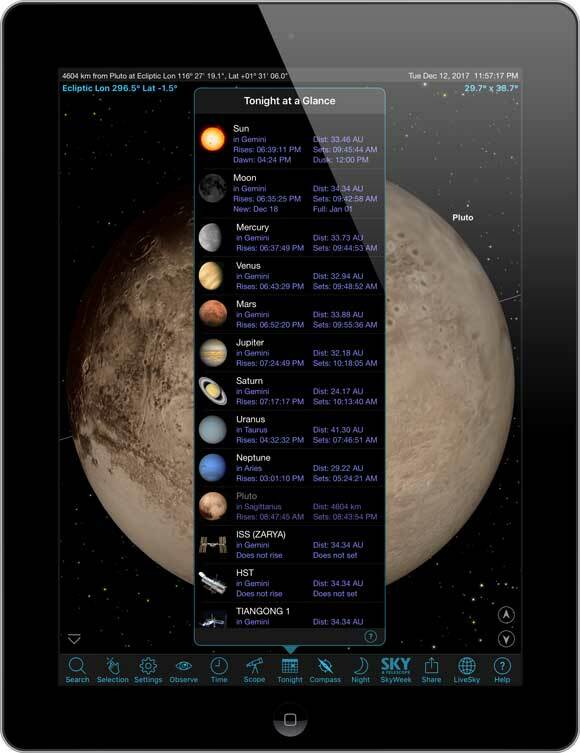 SkySafari Plus and Pro apps, for iOS, Android and macOS, are specifically designed to communicate with SkyFi and your telescope over a wireless TCP/IP connection.